In her ongoing investigation of the everyday and the immersion of performance acts within daily routine, Lital Dotan created a performance of a seven course dinner. 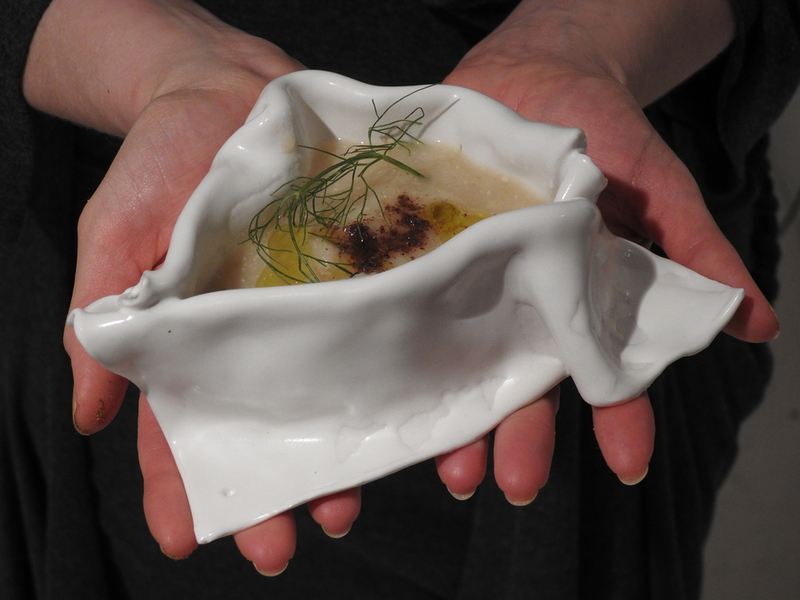 The dinner, made of edible textual images and served in singular porcelain sculptures, is an attempt to create a performance that engages the audience in the most primary manner while challenging traditional assumptions in performance art. Inspired by a variety of ceremonial traditions (from the Jewish “Seder” to the Japanese tea ceremony), Dotan wishes to create a dinner that “tells itself” and becomes its own tradition: a repeated-and-singular, perishable-and-sustainable everyday art act. Continuing her tradition of using shared economy platforms as distributors of art, reservations could be made online through EatWith. Folded Storm is the third in an ongoing series of transformations of the everyday that take on the basic needs to human survival- eating, sleeping, getting dressed. Previous performances dealt with actions such as sleeping (when Dotan offered her own bed as an immersive overnight sleeping performance) and dressing (when she launched a fashion label based on one-to-one dressmaking performances named Que sal mah).